4.We can send engineers to customer factory to help installation and training workers if customer required. We have a professional technical team that provides such supports as techniques, technology and equipment. We also provide with installation, testing and training services according to customers&rsquo;requirements. Product description The cotton ball making machine is to make the degreasing cotton sliver into cotton ball. Production speed can be adjusted according to you practical need. 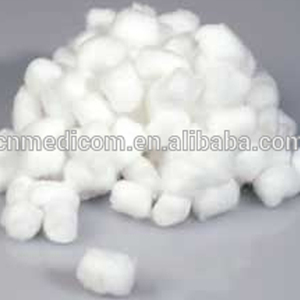 &gt;Various production line, covering more than 50 different kinds of professional machinery to produce medical disposable. 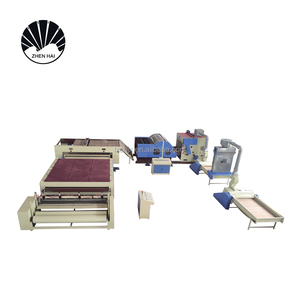 3 YRS Haimen Qixin Textile Machinery Co., Ltd.
,Ltd is a professional non-woven machine manufacturer and specializes in R&D,technical art and matching service. Main products:various cards,fiber opening machine,rational feeding box,automatic spreading machine,automatic switching off machine. we provide the start-to-finish service from design,production,installation and debugging to art technology. Other natural fiber, such as hemp fiber, cotton fiber are also proved aplicable for the machine. Sliver exit allows spinning applications after carding machine Detailed Images Packing & Delivery Wooden case packing. Plastic film wrapping and then wooden case packing, endurable for long sea shipping. 5 YRS Qingdao Yuanquan Machinery Co., Ltd. 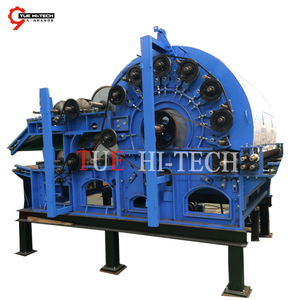 The process:1.Cotton opening machine 2.Ball fiber machine. After PP cotton being opened,then it can process to ball shape products. Features of Pearl cotton making machine 1. high efficient , labor saving, only need 1-2 workers. for this kind of production line, need one 40 foot high container to ship. After sale service we don't just sale machine also have good aftersale service. our team will have technical support of the whole life of the machine. Rongda wool felt making machine Characteristic of wool felt making machine Needle-punched cotton machine can be fleeciness fiber, cotton to comb cotton, spread nets, acupuncture, strengthening become needle-punched cotton, insulating felt, raw materials of greenhouse, shoes, mattresses, sofa cushion, car seat rug, chemical product and different specification product. 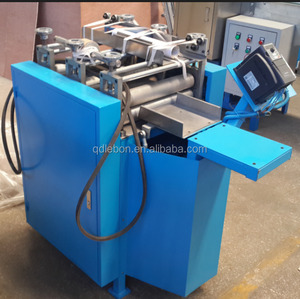 Main Technical data of wool felt making machine Width of products: Max 2500mm Product (GSM): 300-1000g/m2 Output: 3--8 m/min Power: 31KW Weight: 3800kgs The wool felt making machine include: 1 set opener +1 set carding machine + 1 set or 2 sets needle punching machine Advantage (1)Adjustable of the width, speed, thickness, firmness ; (2)Automatic control system, (3)1-2 labor cost; (4)High production capacity; (5)Save material cost; (6)safety operation, etc. Products If you have interest in our products, please feel free to contact me. c) Central oil lubrication circulation and cooling system optional with compressor compelling cooling or air cooling and complete with pressure alarm system. f) Equipped with a complete electronic safety system to meet all international standards. The Buyer should provide the allowance , round-trip air tickets, accommodation, workers and translator. 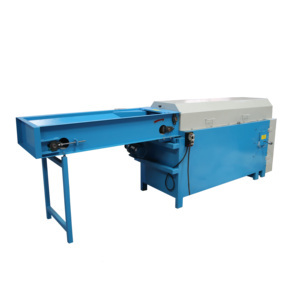 All card main cylinders and main rollers are manufactured in a controlled manner in house and are all dynamically balanced prior to installation. All drives are variable speed and synchronized to allow for full automatic control of machines prior to and after the carding system. All covers are laser cut to give perfect fit and all of them are raised/ lowered by means of air soring and electrical pusher. Application: to open Wool, polyester, cotton fiber, PP cotton, cloth scrap etc 2). You can adjust the speed of the conveyor to cover the traditional disadvantages cotton in jam. 5. No matter with the length , our machine is suitable for difference length of fiber . The machines only be delivered when the you accept the quality of the machines and the product. 2.Are you factory or trading company9 Non-woven opener machine We are factory with foreign trading property. 5.How to ship the order9 Non-woven opener machine Please inform us your instruction, by sea, by air or by express. 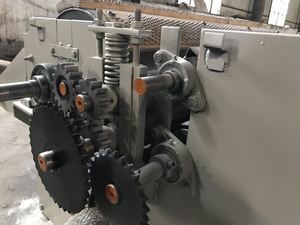 1. fiber tearing and opening machine is now the most advanced opening series automatic back the cott. 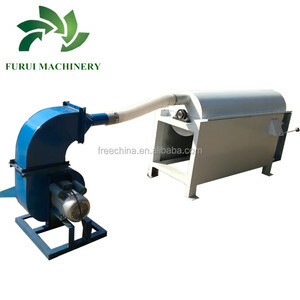 Features of Cotton Waste Making Cutting Cleaning Ginning Machine 1. Frequency, adjustable send cotton conveyor belt speed, guarantee the safety of the operating personnel, efficient production. We can supply the documents as the following: Contact us If your are interested in our Cotton Waste Making Cutting Cleaning Ginning Machine , please conta c t with me. automatic fiber opening machine 0086-15238009171 FEATURES: HIgh fiber opening rate 99% high productivity, long working life suitable for pillow & sofa making &duvet INTRODUCTION: Filber opening machine is suitable for upholstery, sofa and bedding&rsquo;s production, which can be used for the procedure of filling sofa cushion and pillows. 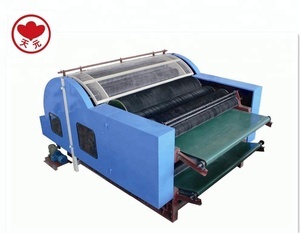 The machine can card fiber for the material as follows: polyester, cotton, woolen, spray-glue cotton&hellip;. 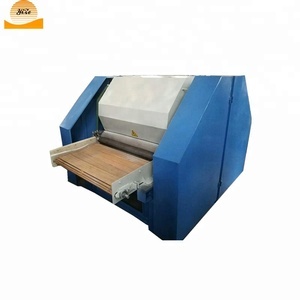 The machine can make different types of polyester mix with partial spray-glue cotton and have the perfect effect, and then, the carded material will be filled by filling machine into the cushion, pillow according to the weight requirement Model JX -360 JX -560 JX -790 JX -1000 Belt width 360mm 560mm 790mm 1000mm Dimensions(mm) (L*W*H) 2140*750*940 2150*900*940 2150*1150*980 2150*1 5 00*1100 Power 2.95kw 4.75kw 6.25kw 8.60 kw Net weight 400kg 600kg 800kg 1000kg capacity 60-80kg/h 120-150kg/h 160- 20 0kg/h 2 5 0- 30 0kg/h RELATED PHOTOS: Whatsapp: 0086-15238009171 Wechat:HX15238009171 About our Company If you have great interest in our products, please feel free to contact me. Certification we have our own import and export right Company Details Manufacturer Details Exhibition and Clients Contact Detail How to contact you9 We can chat online by TM or by email. What should I offer if I need a detail quotation9 We need to know the width of your final products, the thickness of your final products, the raw materials, the usage of your final products. Are you facory or trade company9 We are a professional manufacturer of nonwoven equipment. 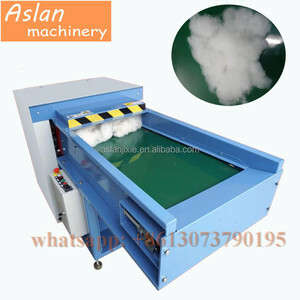 Alibaba.com offers 1,539 cotton wool making machine products. About 17% of these are nonwoven machines, 3% are other textile machines, and 2% are other plastic product making machinery. A wide variety of cotton wool making machine options are available to you, such as carding machine, textile tester, and pillow filling machine. You can also choose from fiber, nonwoven, and yarn. As well as from lace, chenille, and fishing net. And whether cotton wool making machine is free samples. There are 1,539 cotton wool making machine suppliers, mainly located in Asia. The top supplying country is China (Mainland), which supply 100% of cotton wool making machine respectively. Cotton wool making machine products are most popular in North America, Domestic Market, and Western Europe. You can ensure product safety by selecting from certified suppliers, including 132 with Other, 73 with ISO9001, and 25 with ISO13485 certification.